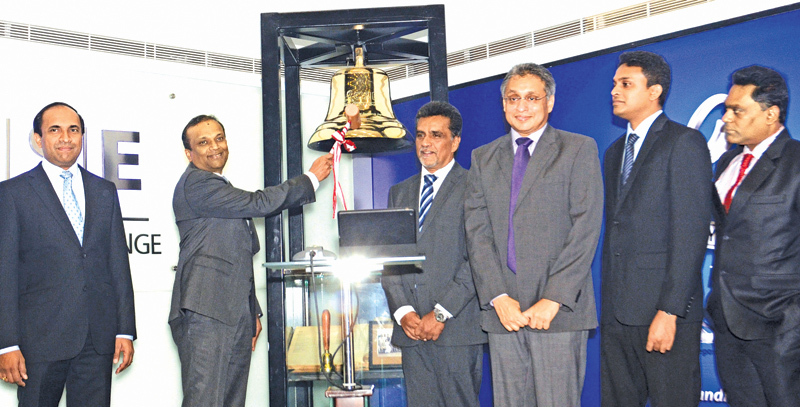 The Colombo Stock Exchange (CSE )expects 2017 to be a more implementation year as CSE is making various arrangements to convert the CSE to a different phase,CSE Chairman Vajira Kulatilake said. He made these views while participating at the 20th bell ringing ceremony of the CSE with the Asiri Hospitals Group. Kulatilake said the CSE is hoping to achieve most of its targets during the next year. CSE will very soon to implement the Central Counter Party (CCP) system with the funding support from various sources. Asiri Hospitals Group Chairman Ashoka Pathirage said Asiri Hospitals Group will invest Rs.5 billion to put up a 142 bed new hospital in Kandy and very soon it will start construction work of its proposed Hospital. The hospital will be open in early part of 2018. Dr. Manjula Karunaratne representing the Asiri Hospitals Group said that Asiri Hospitals was first listed in the exchange in 1986; since then market capitalization of the hospitals group grew from Rs 25 million to current Rs 30 million , registering almost thousand fold increase. This has paved the way for shareholder to benefit from the performance and value creation of the company. He also added that the group is committed to sharing its success with all its stakeholders and driving towards the sustainable value creation as it strives to achieve the ambition of being the best health care provider in South Asia.